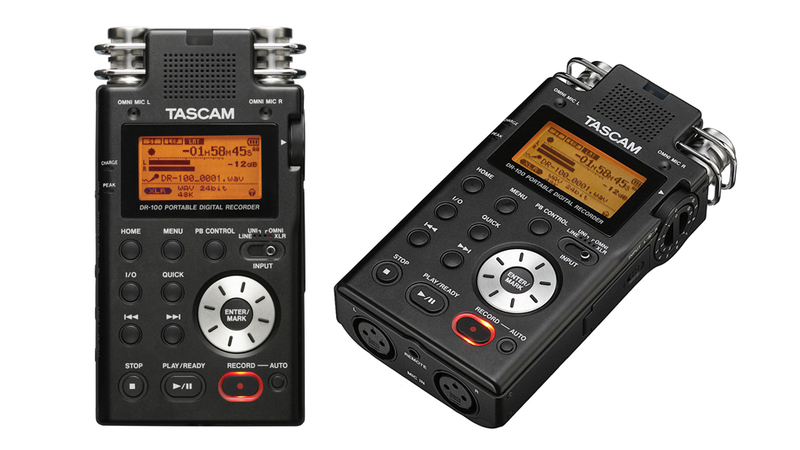 The rugged TASCAM DR-100 offers high-end recording features to musicians and engineers who demand more from their portable recorder. It features four built-in microphones, two cardioid and two omnidirectional, with analog limiting and filtering for great-sounding recordings. A pair of XLR microphone inputs with phantom power welcomes pro-grade condenser microphones, and line in and out connectors are also provided.